Azure SQL Data Warehouse (DW) is Massively Parallel Processing (MPP) version of SQL Server APS/PDW in Azure. It scales to petabytes of data, allows resize of compute nodes in a minute, and integrated with Azure platform. 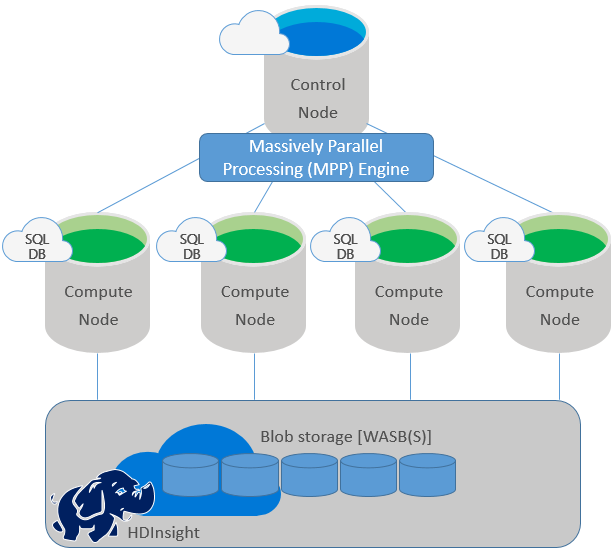 Azure SQL DW consists of Control Node with MPP engine and Data Movement Service (DMS), multiple Compute Nodes (managed by number of DW units – DWUs), and blob storage (WASB).